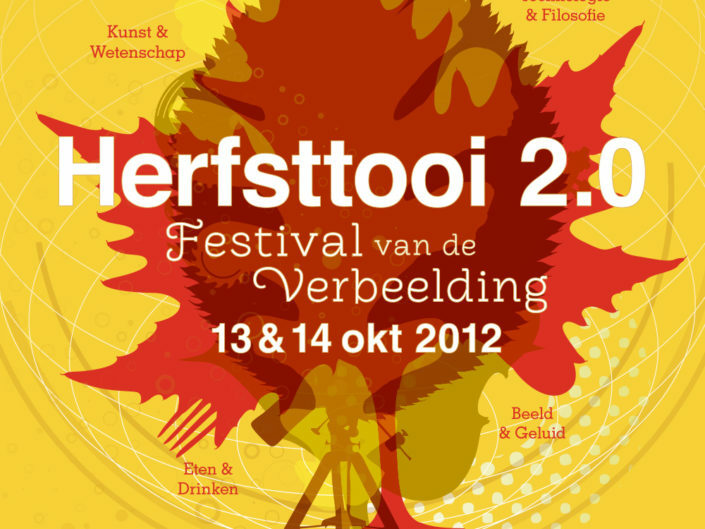 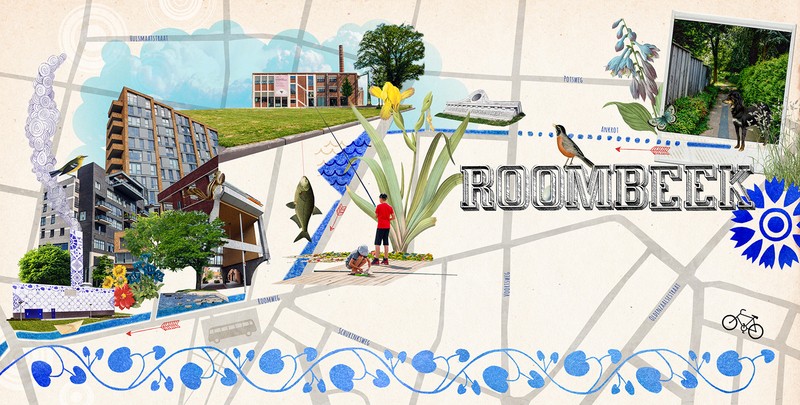 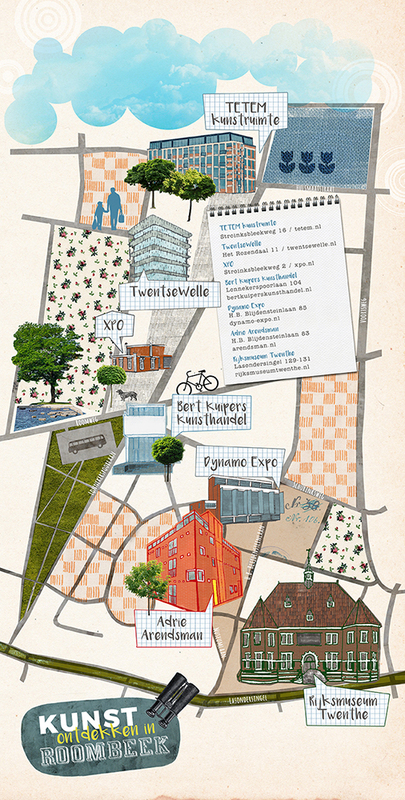 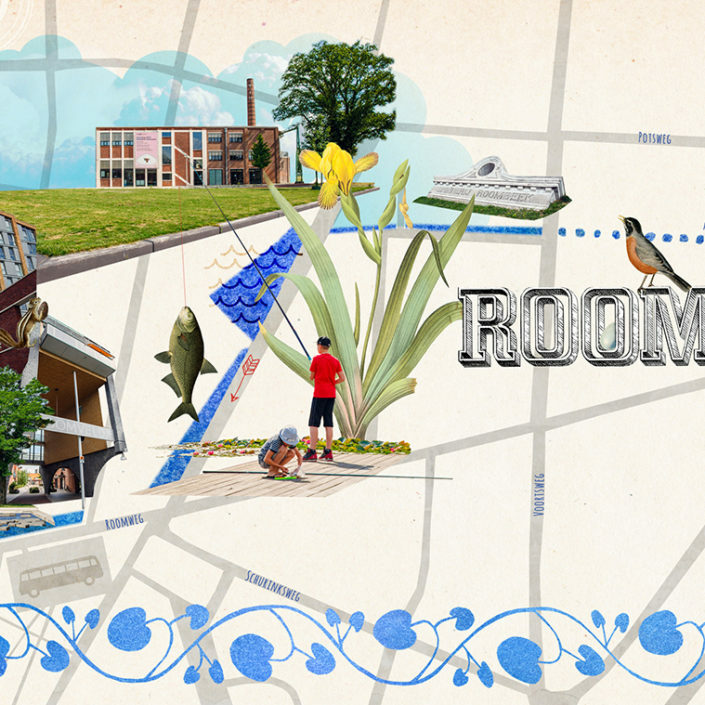 For Roombeek magazine I illustrated two different themed maps. 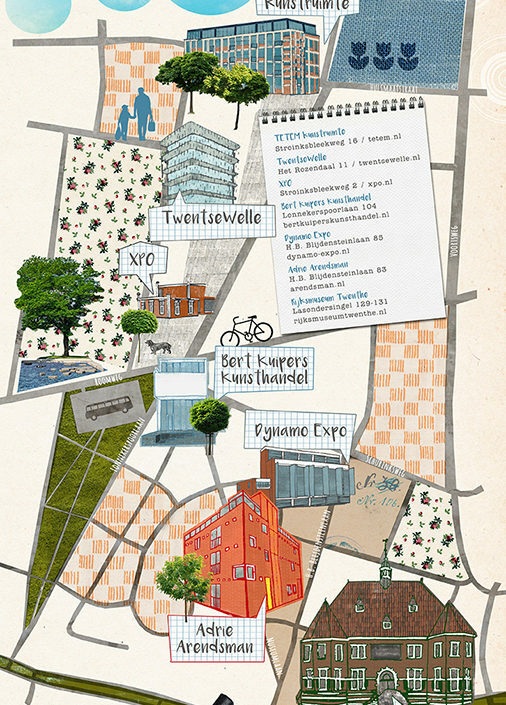 One featuring the art spots in the cultural quarter of Enschede and the other one showing the course the stream Roombeek takes through the district that was named after it. 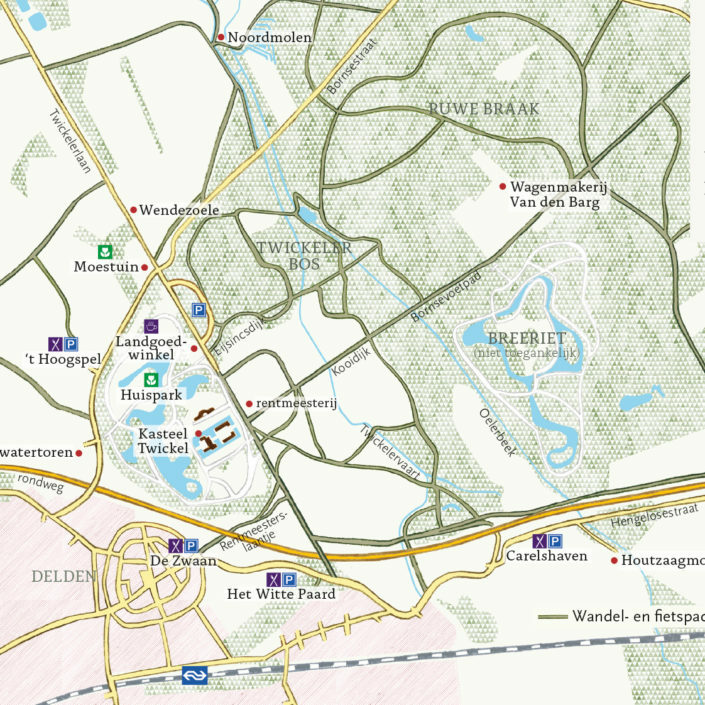 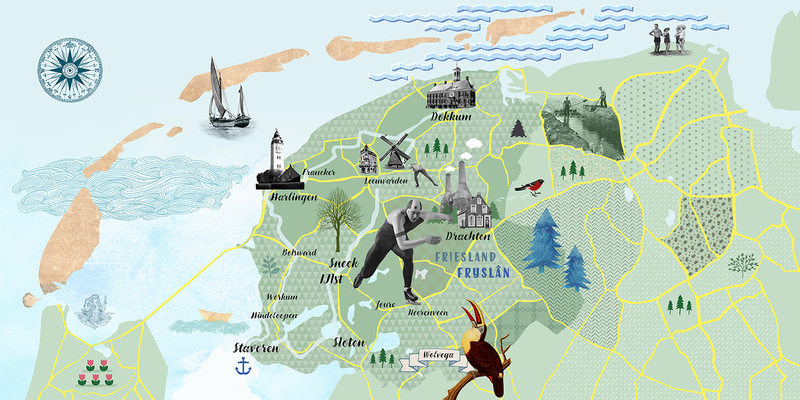 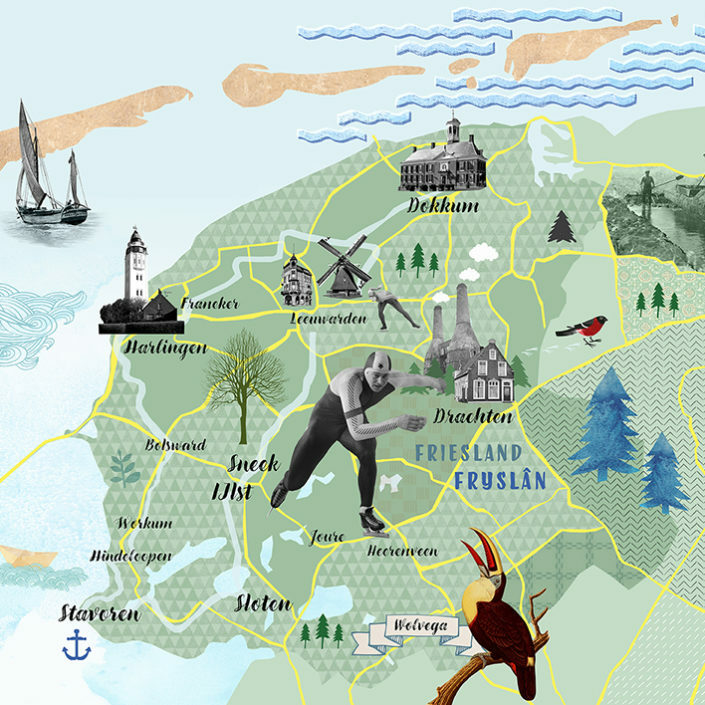 Graphic Designer Susan Bijen from einszwei commissioned a map showing the estate of Twickel. 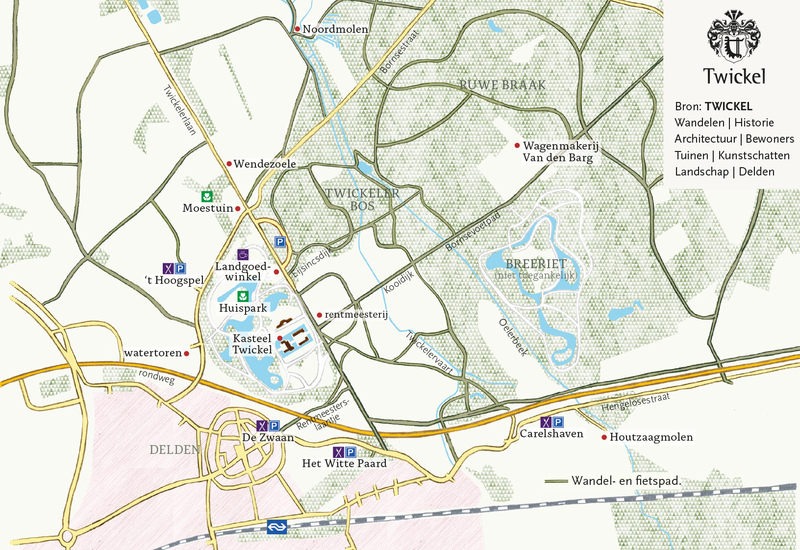 The map is featured in a book about the history of the estate and the wonderful hiking trails through the forest, heathland and parks.